Social media has helped us all become more in tune with what is trending. However, most of us are not as hyperaware of what is trending in the workplace as we are in our nonprofessional feeds. 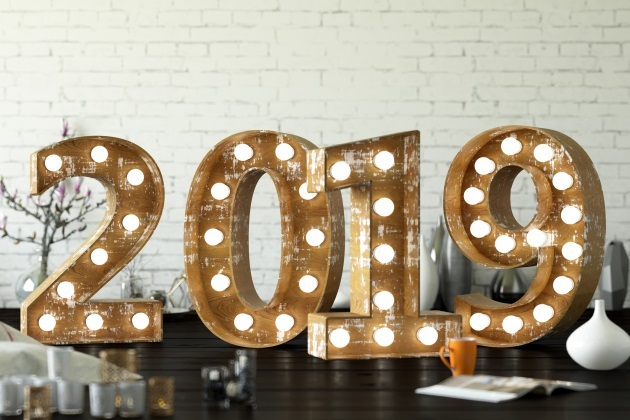 As such, here is a quick breakdown of a few trends that made a significant mark on 2018 and a few more trends to look out for in 2019. Yes, the robots are coming to take our jobs. And it is only a matter of time before Cyberdyne’s stock goes through the roof. For now, however, while the major players in our home, car and phone are voice-activated assistants, the major player in our offices was AR. AR, or augmented reality, made huge strides in workplaces during 2018. If this was a trend you did not realize you missed, do not worry, it will be arriving in a cubicle near you soon enough. AR is already helping advance on-the-job training, create compelling cases for nonprofits, and improve our couch buying experiences at Ikea. More applications are just around the corner. Generational diversity was also another big trend in the workplace that may have been slightly overshadowed by cultural diversity and gender equality. Our millennial overlords, however, are on pace to outnumber the baby boomers and, with that, the variety of ages within any workplace are expanding. Finally, from schools to banks, nonprofits to tech companies, design thinking has left the traditional realms of the creatives and crept into cubicles everywhere. In short, according to WorkDesign Magazine, it "involves a creative, agile mindset that incorporates the ability to ask questions from a variety of vantage points… allowing for an evolution of a culture that quickly generates, shares and assesses the economic viability of an idea." Again, workforce trends are not always the most interesting. If there were an HGTV show about remodeling cubicles it is possible we may be more up on what is happening in the overall world of work. Until then, here are a few things on the horizon. Working from home will continue to evolve with the help of proof that we can actually be productive in our pajamas and, of course, assistance from technology. Working remotely is now possible in more places and with free video conferencing and FaceTime in our hands, we can see everyone, at anytime from anywhere. We are also realizing the great benefit of having employees in different time zones: work advances continuously as employees across the globe come online while others sign off. In short: flexible hours, days, weeks and locations will all become more common in the coming year(s). Also, likely good news for many of us, walls are making a comeback! As is no surprise to anyone working in an open office, research is showing somewhat ironically that we spend less time interacting face to face when we work in wall-less offices. Similarly, research is showing that access to windows with any kind of view are being recognized as prized possessions. Those of us with windows feel better, work better, and sleep better. The bottom line is, whether these trends directly affect your workplace or not, we can all take away a little validation of our instincts that we are productive when we are out of the office, we work better when we can shut a door and we all feel good when we can get a little sunlight in our day.